Birthplace : Bronx, New York, U.S.
E.L. Doctorow is widely regarded as one of America's pre-eminent novelists of the 20th Century. His work is philosophically probing, employing an adventurous prose style, and the use of historical and quasi-historical figures, situations, and settings. Politically active and outspoken, Doctorow urges other writers to follow his lead in expressing their opinions about issues outside the literary community. Edgar Laurence Doctorow was born on January 6, 1931 in the Bronx, New York. He was named after the great poet and short story writer Edgar Allen Poe, who had also lived in the Bronx. Doctorow's parents were both second-generation Americans who descended from Russian Jews. His mother, Rose (Levine) Doctorow, was an accomplished pianist. His father, David Richard Doctorow, owned a music shop. When his business was wiped out during the Depression, he sold home appliances to support the family. Doctorow's household was rife with literary, intellectual, and political discussion. He would later characterize his childhood milieu as "a lower middle-class environment of generally enlightened socialist sensibility." Both Doctorow and his older brother had aspirations of being novelists. "I always knew that writing was my calling," Doctorow told Time magazine. For a long time, however, he would resist this impulse, on the advice of friends and family. "People told me to look for physical labor and under no circumstances to get involved with the book business in Manhattan." Upon finishing grade school, Doctorow attended the prestigious Bronx High School of Science. He then enrolled at Kenyon College in Gambier Ohio, a liberal arts school known to be a hub of literary study. One of Doctorow's professors at Kenyon was the renowned poet and critic, John Crowe Ransom. At this point, Doctorow was not focused on a literary career, however, preferring to major in philosophy. He also tried his hand at acting, appearing on stage in a number of campus productions. After earning his undergraduate degree with honors in 1952, Doctorow moved on to graduate study in English drama at New York's Columbia University in the autumn of 1952. Here he was introduced to the work of the German Romantic playwright Heinrich Von Kleist, whose writing had a profound effect on the young student. Doctorow later modeled the protagonist of his most famous novel, Ragtime on the hero of one of Kleist's novels. While studying at Columbia, Doctorow met and married Helen Setzer, a fellow graduate student. He was drafted into the Army in 1953 and was stationed in Frankfurt, Germany, where Helen gave birth to the couple's first child. Upon leaving the service, Doctorow returned to New York, where he got a job at the reservations desk at La Guardia Airport. Tired of this, he moved on to a position as an "expert reader" for Columbia Pictures. His responsibilities included reading a novel a day and writing a 1200-word critique evaluating its cinematic potential. Doctorow acknowledged that the job gave him insights into the structure and pacing of genre novels that he would later use in his own writing. In 1959, Doctorow accepted a job as an editor for the New American Library. He remained there until 1964, using his free time to work on his own fiction. In 1960, Doctorow published his first novel, Welcome to Hard Times. A Western genre story, it was set in the newly settled Dakota Territory of the 1800s. The tale was told from the point of view of the mayor of the frontier town of Hard Times, in the form of a series of journal entries. Critics responded favorably, and the book was later turned into a motion picture starring Henry Fonda. Although Doctorow was now an established novelist, he was still unable to support his family entirely through his writing. He, therefore, accepted the post of editor-in-chief at Dial Press in 1964. In 1966, Doctorow completed work on his second novel, Big as Life. This time he chose science fiction as his genre, spinning an outlandish tale about a group of people who band together to fight off two giant humanoids attacking Manhattan. The book was perplexing to some reviewers; others dismissed it as potboiler science fiction. Doctorow later withdrew the novel from print entirely, apparently disappointed at the critical reception it received. As editor-in-chief at Dial Press, Doctorow spent the last few years of the 1960s working with some of the most talented authors of the time, including Norman Mailer, James Baldwin, and Richard Condon. 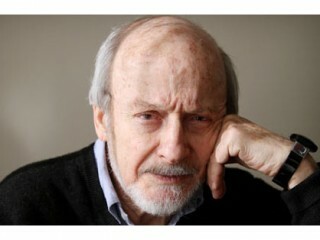 But he quit his position in 1969 in order to devote more time to his own writing. The fruit of that effort was Doctorow's first non-genre novel, The Book of Daniel (1971). The title character was based on Michael Meeropol, the son of executed Communist spies Julius and Ethel Rosenberg. Doctorow believed the execution was a major political crime of the 1950s and tried to express his confusion and outrage through the character of Daniel. He did extensive research into the lives of the Rosenbergs in preparation for writing his book. The hard work paid off, as critics almost universally praised the new work. The Book of Daniel was nominated for a National Book Award and made part of the required reading list at a number of colleges and universities. William Howard Taft, and Sigmund Freud appear in its pages, though the major themes of the novel revolve around the fictional Coalhouse Walker, a black piano player persecuted for a crime he did not commit. The novel was an enormous critical and commercial success, fulfilling Doctorow's own vow that the book would reach vast new constituencies. Ragtime sold 200,000 copies in hardcover in its first year alone, and netted a lucrative $2 million for the paperback sale. It won Doctorow the National Book Critics Circle Award for fiction and was adapted as a feature film in 1982 and a Broadway musical in 1997. With his first novel of the 1980's, Loon Lake, Doctorow returned once again to historical fiction. Set in and around the Adirondacks during the Great Depression, the book follows the wanderings of an ambitious drifter. Its experimental prose style and non-linear structure made it a difficult read for some, but critical response was mostly positive. For his next book, 1984's Lives of the Poets, Doctorow eschewed the novel form entirely, preferring to collect six short stories and a novella, all of which dealt with the relationship between art and politics. During this same period, Doctorow himself was exploring that relationship through his actions and public pronouncements. Now an internationally famous and acclaimed author, he found time in his hectic schedule to publicly expound on his views about political and cultural matters. In 1980, Doctorow appeared before a Senate subcommittee to decry the encroachment of the entertainment industry into publishing. In 1983, the outspoken author delivered a scathing commencement address at Sarah Lawrence College in which he excoriated Ronald Reagan as "the most foolish and insufficient president in our history." Later that year he traveled to Beijing, China, where he lambasted American officials for encouraging the Chinese to translate and publish American books without duly compensating the American writers. Doctorow became extremely active within the literary community. In 1982, he was appointed the Lewis and Loretta Gluckman Chair of American Literature at New York University. In 1984, he was elected to the American Academy and Institute of Arts and Letters. The following year he appeared at the Twentieth International PEN Conference to urge America's writers to speak out on political issues. Doctorow later had published a distillation of that argument in essay form entitled "The Passion of Our Calling." Doctorow's sixth novel, World's Fair, appeared in 1986. In it, Doctorow tackled a new literary form, the memoir, writing from the point of view of one Edgar Altschuler, a young man growing up in the Bronx during the Great Depression. Again, real historical personages and events like the Hindenburg disaster and the New York World's Fair of 1939, gave depth and verisimilitude to the narrative. Hailed as a triumph by literary critics, World's Fair was awarded the American Book Award for fiction. The Bronx again provided the setting for Doctorow's next novel, Billy Bathgate, published in 1989. The book again explores the relationship between history and myth, as it follows the title character through his immersion in the gangster underworld of the 1930's. Young Bathgate's mentor throughout is the real-life gangster, Dutch Schultz. One of Doctorow's most accessible and accomplished novels, Billy Bathgate became an international bestseller and earned Doctorow the National Book Critics Circle Award for fiction. In the 1990's, Doctorow slowed his pace somewhat, publishing only one major new work of fiction. He purchased a summer home on Long Island and organized a three-day annual retreat weekend called "The Sag Harbor Initiative." There artists and politicians gathered to discuss major issues of the day. Doctorow's eighth novel, The Waterworks, appeared in 1994. Set in New York City in the aftermath of the Civil War, the suspenseful narrative is told by an old, wry newspaper editor. Its real protagonist is Martin Pemberton, one of the paper's employees, who embarks on a quest to find the father he thought was long dead. Laced with historical and contemporary allusions, the book echoes earlier Doctorow works in its sweeping examination of the interaction among different social classes.